The Paper Kites Certified ‘Gold’ In America – Spotlight Report "The Best Entertainment Website in Oz"
Melbourne indie folk outfit The Paper Kites’ have a lot to celebrate with their song Bloom being officially certified gold in the US, and today announcing their new album On The Corner Where You Live (set for release on September 21 via Wonderlick / Sony Music Australia), the much-loved band’s melancholic, mid-tempo companion to the recently released album, On The Train Ride Home. Give them your tired, your lonely, your lovesick, your unsure, The Paper Kites have a song for each of them on this latest album. On the Corner Where You Live wafts evocatively with noir-ish saxophones, guitars, ambient traffic, even the languid sound of rain. It’s levitating and bittersweet; heavy-hearted stories that are resoundingly universal. On The Train Ride Home and On The Corner Where You follow up their 2015 album twelvefour. 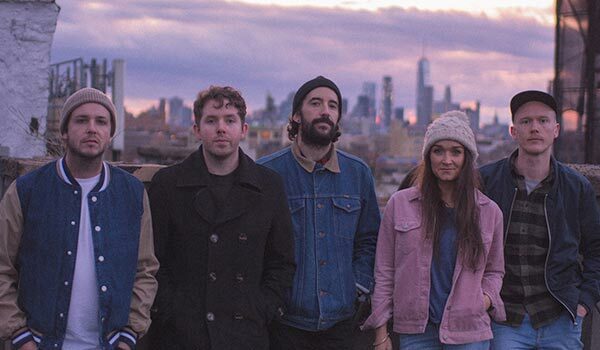 The Paper Kites (which also includes vocalist Christina Lacy, guitarist Dave Powys, drummer Josh Bentley and bassist Sam Rasmussen) have earned a loyal, organic fan base. In the eight years since they formed, what’s followed is an impressive reach of their music with standout single Bloom (from their Woodland EP) certified Gold with nearly 700,000 tracks sold across America, which sees them join a small list of Aussie artists (including ACDC, INXS, Midnight Oil, SIA, Kylie Minogue, Flume and Silverchair) who have received GOLD accreditation in the US. The band has also been steadily touring across 4 continents, 24 countries with nearly 200 shows in just under 3 years. With over half a billion streams and nearly 3 million monthly listeners on Spotify, the band continues to amass new fans wherever they go. They’ve also today announced a 21 date North American and UK headline tour, kicking off in Los Angeles on November 6, before moving through San Diego, San Francisco, Portland, Seattle, Vancouver, Victoria, Calgary, Edmonton, Saskatoon, Winnepeg, St. Paul, Chicago, Toronto, Waterloo, London, Montreal, Boston, Philadelphia, New York and finishing up in Washington on December 1. On The Corner Where You Live is co-produced with Grammy-winner Peter Katis (Interpol, The National) at his studio in Connecticut – a 120-year old Victorian era home that the band lived and recorded in for 5 weeks. Sam spoke of the moment the album’s concept clicked together, saying “It’s a collection of stories about these characters all living in an apartment building; I wanted to capture moments, feelings, it’s about people and their stories.” This album is one best listened to from start to finish, as each story seeps into the next; meditative yet complex, On The Corner Where You Live will not disappoint The Paper Kites’ loyal fanbase, and will enamour new and existing audiences alike. Immersed in an aural diet of blues and jazz, the band collaborated with Los Angeles film-noir artist Gina Higgins on the album’s artwork, who also painted the cover for On The Train Ride Home and worked closely with the band on the concept. For fans, the band will make both On The Train Ride Home and On The Corner Where You Live available as a deluxe double gold and silver coloured limited edition vinyl, out September 21.